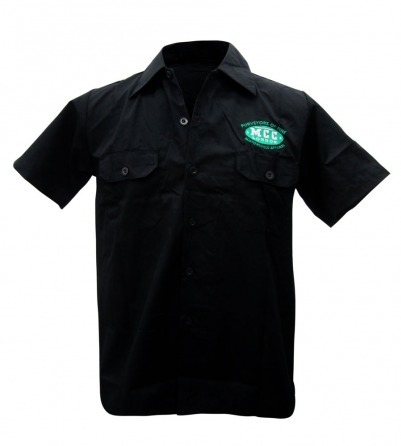 This black, button up, collared work shirt is the epitome of rocker cool. Be the envy of your friends in this awesome biker shirt with a back logo featuring “Rocker’s Delight” skeleton riding a motorcycle. 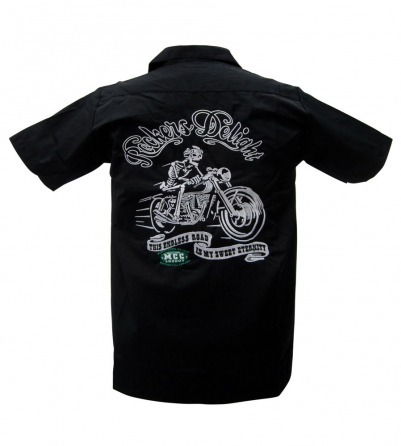 “The Endless road is my sweet eternity.” The logo on the front of this shirt reads “Purveyors of Fine Motorcycle Apparel” and allows you to work in style.